Japan is releasing 10-y Bond Auction data and the US will publish IBD/TIPP Economic Optimism and Factory Orders m/m. The support rests at 108.990 with resistance at 109.550 which both lines are below the weekly pivot point at 109.720. The EMA of 10 is moving with bearish bias and it has reached the EMA of 100 but both are below the EMA of 200. The RSI is falling towards the oversold area, the Stochastic is showing downward momentum and the MACD indicator is in neutral territory. The ADX is showing sell signals. 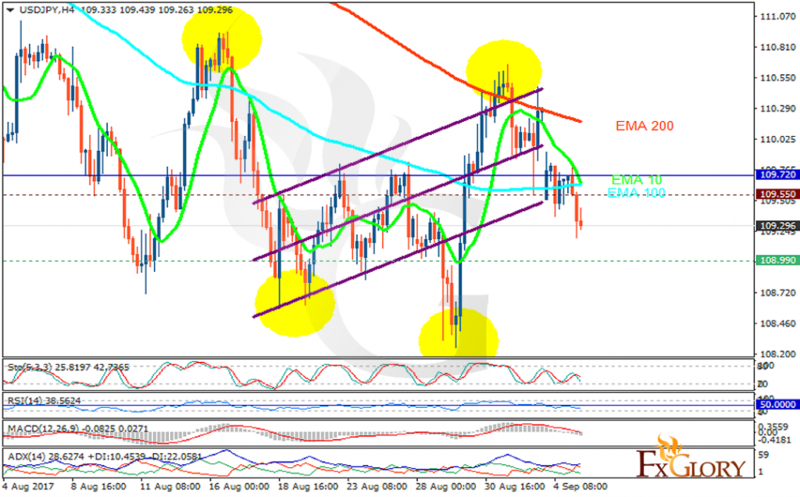 The support area seems to be too strong to be broken therefore USDJPY will grow towards 110.2 area.